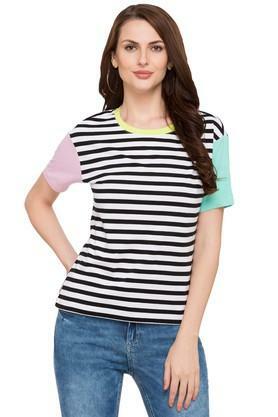 If elegance is your style, then this top from Life is a perfect pick for you. Made from good quality fabric, it will provide you with immense comfort throughout the day. 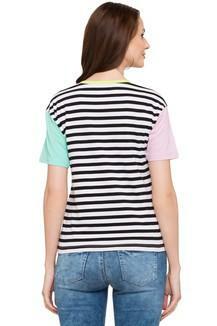 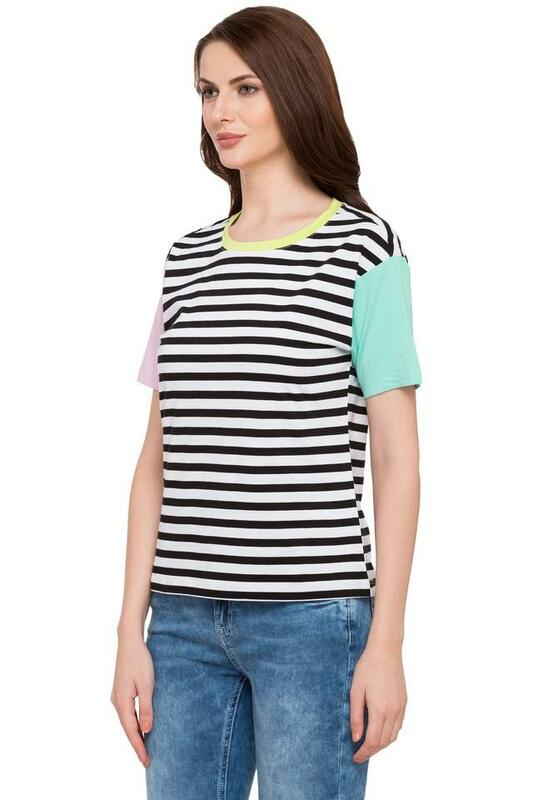 Featuring a round neck, half sleeves and striped pattern, this top possesses a fashionable allure. Cut to a relaxed silhouette, this top is perfect for a casual day out. 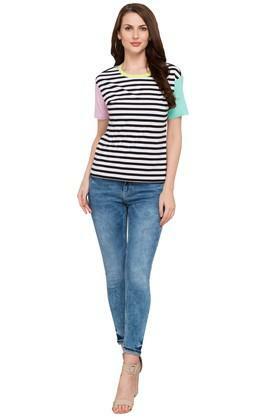 Make your casual outings stylish by teaming this top with a pair of distressed denim shorts and sandals.